Enjoy succulent lunches and dinners that fit your personal palate after you search for the best restaurants in Staten Island by food category. Whether you're seeking the most delicious pizza or mouth-watering hot dogs, we have listed the best Staten Island restaurants by food type. See a list of top-rated eateries where you can order the best burgers in Staten Island. 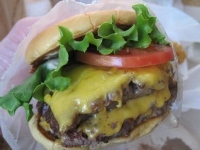 Find the best burger restaurants in Staten island that have been ranked highly by several online review sites. If you're looking to sample the best hot dogs in Staten Island, let Fun New York's comprehensive dining guide lead you in the right direction. 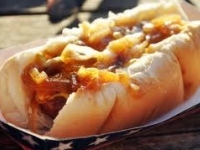 Find all the best hot dog restaurants in Staten island. Grab a slice of heaven at some of the best pizzerias in Staten Island. 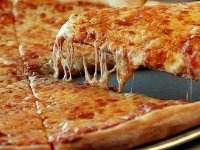 Browse through a variety of small and large venues that offer the best pizza in staten island. Explore Fun New York's comprehensive dining guide and help yourself to some of the best steak in Staten Island. 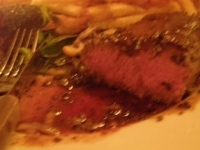 See our complete list of the best steakhouses in Staten Island.